GEDI’s index building and ecosystem analysis expertise has been utilized by both companies and public sector entities. Building on the success of two Global Millennial Surveys, Telefónica sought an expert partner to produce the most comprehensive Global Index on Digital Life ever developed, the Telefónica Index on Digital Life (TIDL). -José María Álvarez-Pallete López Chief Operating Officer, Telefónica S.A. 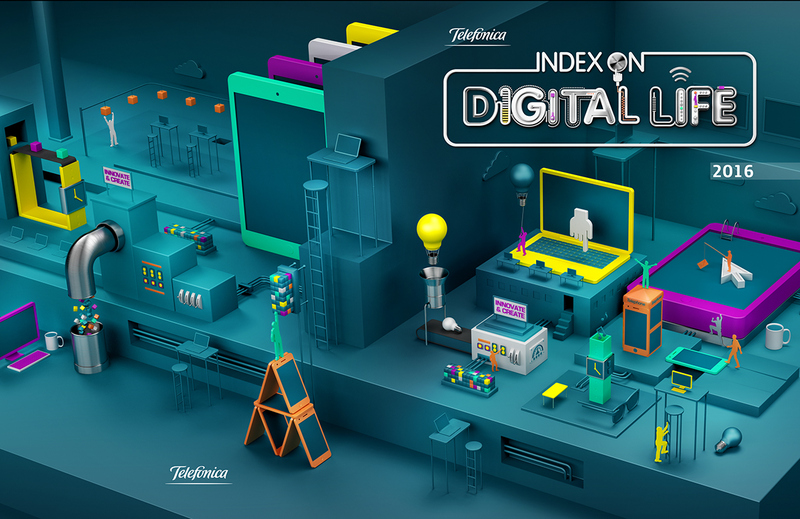 The Index on Digital Life, produced by GEDI, reflects Telefónica’s core belief that technology should be open to everyone and was motivated by the need to have a more holistic and global way to measure digital life within a digital economy. Moving away from measurement based simply on the level of access, the Index takes into account the harmonization of digital socio-economic factors that drive the digital economy. Santander UK’s Breakthrough Institute was looking for an entrepreneurship index and comprehensive ecosystem evaluation for the United Kingdom that would help them support home-grown entrepreneurs in need of financing. They sought us out as a trusted third party to bring together key actors, conduct data-driven analysis, and develop actions with real impact. 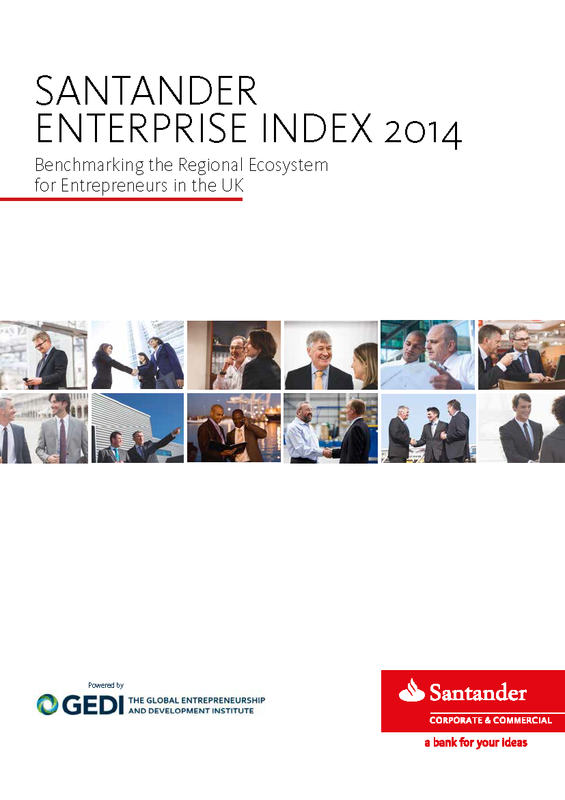 Our work compared 12 UK regions on the basis of 30 indicators of the entrepreneurship ecosystem, and ranking these regions according to their performance. But the work wasn’t done yet. Santander wanted to facilitate cooperative action between government and private sector stakeholders that could amplify the impact of their efforts. To help them, we convened sets of stakeholders in the Manchester and Leicester regions to discuss the mechanisms that drive UK bottlenecks and formulate a list of priority actions to break down bottlenecks and improve key indicators. To ensure the impact of the chosen actions we developed a causal map of the bottlenecks in the UK ecosystem to identify relationships between actions and their outcomes and choose policy actions based on their chain of impacts. This work helped Santander to pinpoint leverage points for supporting entrepreneurship and growing locally the kinds of entrepreneurs they’re keen to finance. And the network of actors we convened allowed Santander to catalyze coordinated action between government and private sector players on efforts with the most impact. The European commission wanted an index to measure progress in entrepreneurship at a subnational level throughout the EU. They hoped this would help understand what was and wasn’t working from a policy perspective, in order to inform policy choices and enable future evaluation of policy effectiveness with a suite of variables. They reached out to the GEDInstitute because our group of senior faculty researchers from Imperial College London, the London School of Economics, George Mason University and the University of Pécs, Hungary has a broad and deep understanding of entrepreneurship ecosystems based on decades of research and experience. We’ve spent over 15 years creating entrepreneurship indicators for policy use, and a stable, globally calibrated methodology for combining entrepreneurship data into composite indices. 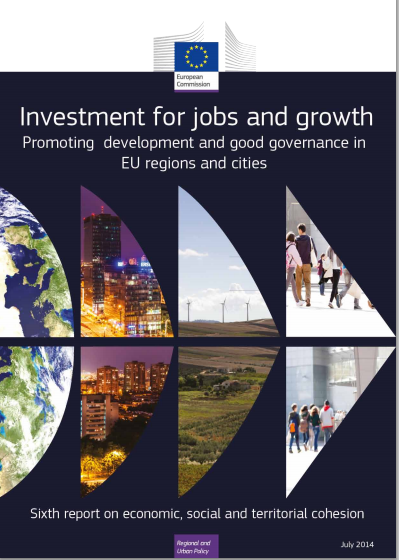 The regional entrepreneurship index we created for the EC revealed weak points both between and within regions. This allowed the European Commission to prioritize and tailor policy effort to suit individual strengths and weaknesses across the EU, and gave them a measurement tool to evaluate progress into the future.